Many people give to charity during their lives, but unfortunately too few Americans take advantage of the benefits of incorporating charitable giving into their estate plans. By planning ahead, you can save on income and estate taxes, provide a meaningful contribution to the charity of your choice, and even guarantee a steady stream of income throughout your lifetime. Those who do plan to leave a gift to charity upon their death typically do so by making a simple bequest in a will. However, there are a variety of estate planning tools designed to maximize the benefits of a gift to both the charity and the donor. Donors and their heirs may be better served by incorporating deferred gifts or split-interest gifts, which afford both estate tax and income tax deductions, although for less than the full value of the asset donated. One of the most common tools is the Charitable Remainder Trust (CRT), which provides the donor or other designated beneficiary the ability to receive income for his or her lifetime, or for a set period of years. 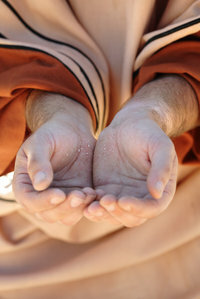 At death, or the conclusion of the set period, the “remainder interest” held in the trust is transferred to the charity. The CRT affords the donor a tax deduction based on the calculated remainder interest that will be left to charity. This remainder interest is calculated according to the terms of the trust and the Applicable Federal Rate published monthly by the IRS. The Charitable Lead Trust (CLT) follows the same basic principle, in reverse. With a CLT, the charity receives the income during the donor’s lifetime, with the remainder interest transferring to the donor’s heirs upon his or her death. A unitrust which recalculates income as a pre-set percentage of trust assets on an annual basis; which would be either a Charitable Remainder Unitrust (CRUT) or a Charitable Remainder Annuity Trust (CRAT). Another variation is the Net Income Charitable Remainder Unitrust, which provides more flexible payment options for the donor. One advantage to this type of trust is that a shortfall in income one year can be made up the following year. The Charitable Gift Annuity (CGA) enables the donor to buy an annuity, directly from the charity, which provides guaranteed fixed payments over the donor’s lifetime. As with all annuities, the amount of income provided depends on the donor’s age when the annuity is purchased. The CGA gives donors an immediate income tax deduction, the value of which can be carried forward for up to five years to maximize tax savings. IRA contributions are also an option through 2011 for donors who are at least 70½ years of age. Donors who meet the age requirement can donate funds in an Individual Retirement Account (IRA) to charity via a charitable IRA rollover or qualified charitable distribution. The amount of the donation can include the donors’ required minimum distribution (RMD), but may not exceed $100,000. The contribution must be made directly by the trustee of the IRA. With several ways to incorporate charitable giving into your estate plan, it’s important that you carefully consider the benefits and consequences, taking into account your assets, income and desired tax benefits. A qualified estate planning attorney and financial advisor can help you determine the best arrangement which will most benefit you and your charity of choice.